MANILA, Philippines - Girls Generation’s new subgroup Taetiseo, composed of Taeyeon, Tiffany and Seohyun, made a splash with their debut by entering the Billboard and iTunes charts and real-time Korean music charts. 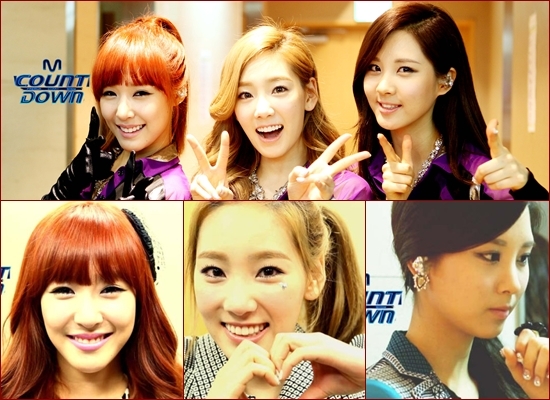 Taetiseo released their first mini-album "Twinkle" online on April 29 and it quickly rose on various music charts. The physical album was released on May 2. Billboard rankings on Thursday showed "Twinkle" entering the charts and ranking No. 26 the Billboard 200, No. 1 on World Albums, No. 2 on Heatseekers Albums, and No. 2 on Independent Albums. "Twinkle" also made it to the iTunes chart, ranking fourth on the Top 100 iTunes Albums chart in the US. It also ranked second on the Pop Albums chart. It currently ranks 97 on iTunes' Top 100 Albums chart and No. 1 on iTunes Japan Top 10 Pop Albums chart. "Also, the title song ‘Twinkle’ released on the 29th at 00:00 a.m. topped both real-time and daily charts of all music websites in Korea including Genie, Melon, Naver Music, etc," according to a statement posted on SMTown Facebook page. The music video for "Twinkle" has garnered 5.67 million views since it was released on YouTube on April 30. Taetiseo started promoting on Korean TV music shows on May 3, first on "M! Countdown."